With LensMechanix® you can transform mechanical designs into optical components in SOLIDWORKS or Creo and visualize how light travels in your system. Save an output file of your optomechanical design and use the Dynamic CAD link to optimize your design in OpticStudio®. 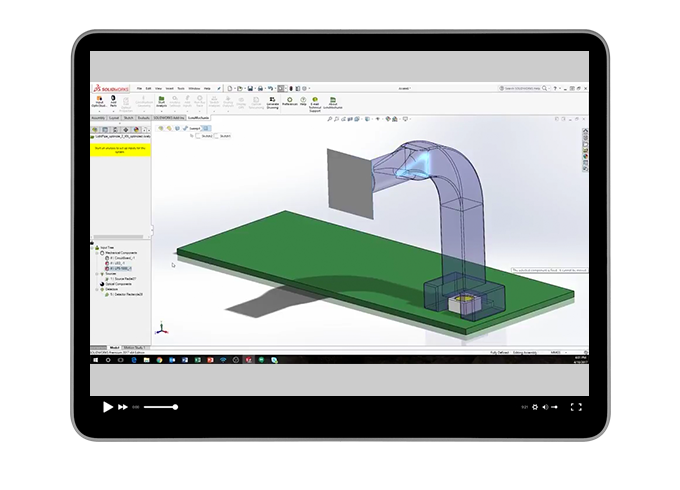 How to build light pipes for circuit board applications and use the Linear Pattern tool in SOLIDWORKS to quickly create additional components. Transform mechanical components to optical components and assign glass types. Visualize how light travels through the transformed components.